Hint: Our elegant decanters are adapted for our VitaJuwel vials in form and size. The decanters are consequently following our philosophy by being handcrafted of pure glass, free of harmful substances and holding a generous 1.3 liters. Even before our recordation of time, the ancient Greek knew about the special effect that amethysts have on the flavor of liquids and used them to enhance their wines. The Greek translation for amethyst is “the nonintoxicable.” Selected wineries and professional sommeliers rediscovered this tradition and achieved amazing results by using VitaJuwel vials. While maintaining its fruity aroma, the gems in the VitaJuwel Vino soften the wine's natural acids thereby making it smoother to enjoy. 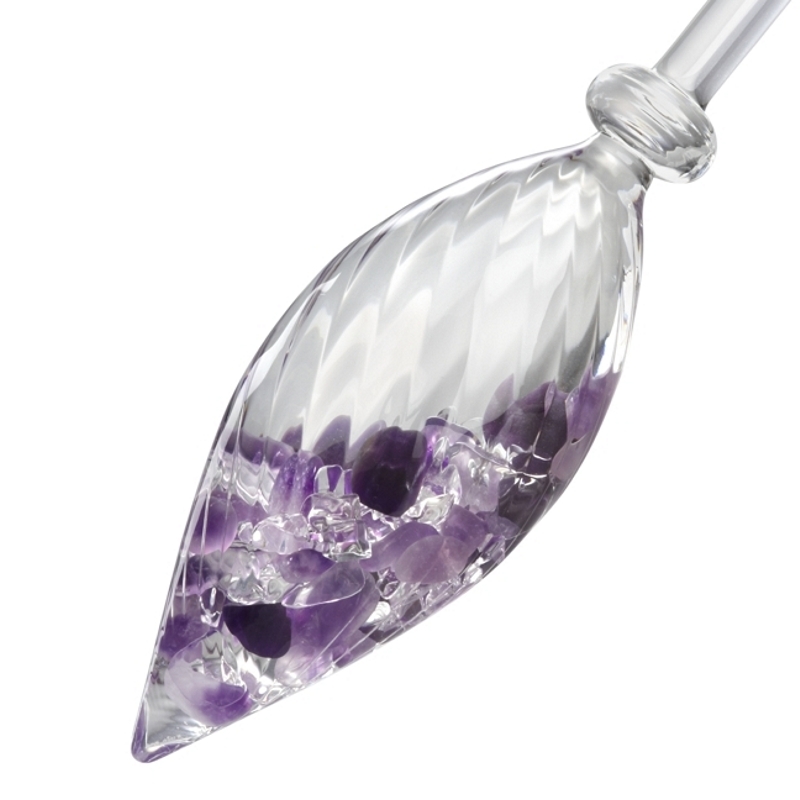 The VitaJuwel – Vino contains shiny amethysts and brilliant rock crystal. It is hand crafted with a unique curved surface.